EBL: Be respectful: These "conservatives" are in the process of transitioning! Be respectful: These "conservatives" are in the process of transitioning! Rush Limbaugh: We all have a Smirking Peter Strzok in our lives and When will the media figure Trump out? 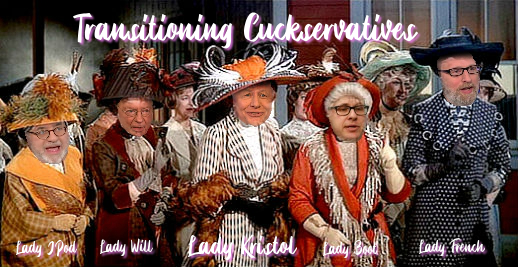 Instapundit: Opposite Day, Plan B, Max Boot and George Will, Don't make Bill Kristol run for President! Washington Examiner: Did David Brooks lose his #NeverTrumper membership? "With a capital 'T' and that rhymes with 'P' and that stands for 'pukes'." Add "Remember, my friends, listen to me, because I pass this way but once!" at your leisure.